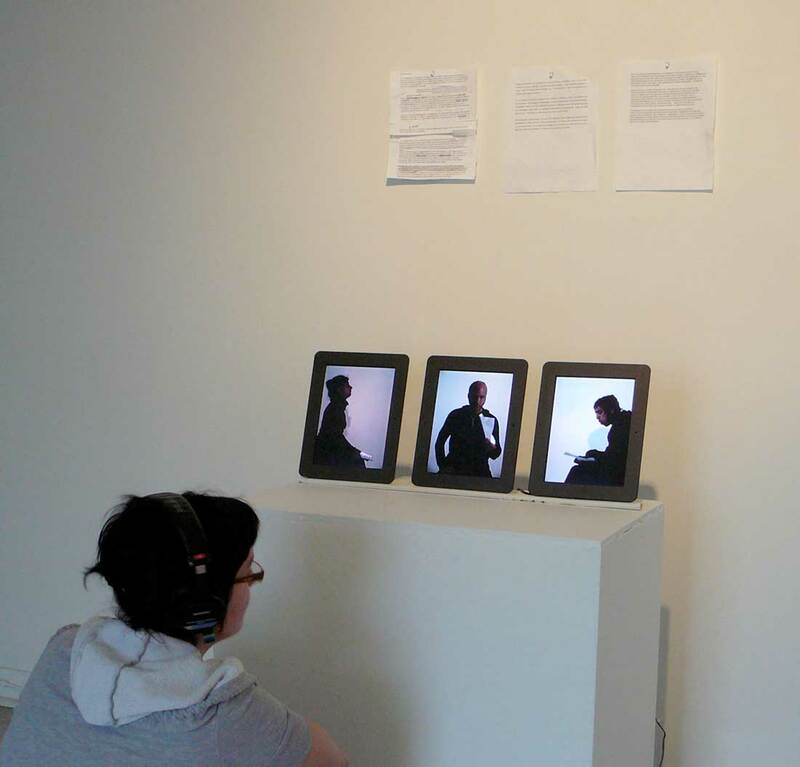 Three small screens, vertically positioned like portraits, present videos of three artists performing their own role. With a unique style and simultaneously, they each talk about their artistic approach. Marie-Suzanne Désilets, in profile on the left, gives a neutral, straightforward presentation. Patrick Bérubé, in profile on the right, adds a touch of humour to his talk. Sébastien Pesot, facing the camera in the centre screen, seems to want to engage with the other two. His talk is interspersed with pauses and glances at one or the other. Viewers of this video installation are thus led to question the notion of the ego, and the interactions between artists. Interactions that are often broken by the need of artists to talk solely about themselves, without listening to the others—even when in close proximity. Their artistic approaches clash, everyone is talking at the same time, and the bond between artists disappears.